That disco in Prague. That rave in Gdańsk. That place you can never speak of again in Minsk. Yes, the entertainment receipts from your travels are a little hard to explain. So we’ve found something closer to home. Introducing Stereo, a flashy den of Euro-disco and Polish vodka, opening Thursday on the Northwest Side. We know you generally have your favorite haunts down in River North. This won’t replace them. 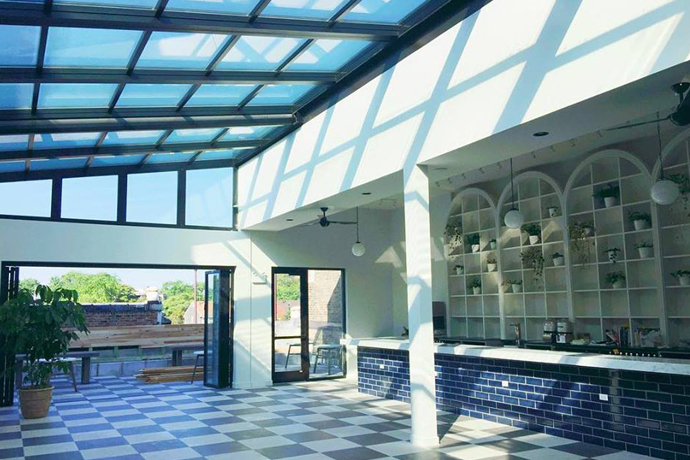 But when you find yourself in the wilds of Belmont Cragin, you’ll now have a place to knock back a few Żubrówka shots while dancing to Italian electro. The main room is bathed in the glow of 15,000 LED lights, the latest in dance-floor-laser tech, and two disco balls. Three bars surround the dance floor, which gives you plenty of opportunities to buy Tatiana one of their signature Skinny Martinis (petite cocktails being the latest thing in Warsaw). If you’re entertaining the cast of a Russian touring ballet—who just need to get out of those tutus—you’ll take over the Boom Box Room, your basic Euro-disco within a Euro-disco. Weekends will be the usual high-energy disco melee, but you may want to stick to retro Sundays, with remixes of classics by Michael Jackson, ABBA and the German disco group Boney M.